Count on wonderful results and a great price that is sure to please you if you are in need of a Chevy transmission repair shop. Key Transmission & Gears can help you no matter what make or model your vehicle is. Give our shop a call today to get started. We have been trusted as one of the Denver area’s top Chevy transmission repair shops for more than twenty years. The mechanics at Key Transmission & Gears are proud to offer warranties with excellent terms and lengths on all of the work handled by our shop. 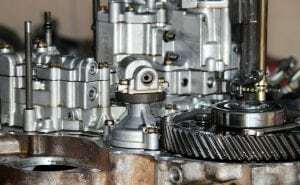 We are an experienced, hard-working team that will do what it takes to make sure your transmission is fixed without bruising your wallet and that you are satisfied with our work. Contact us to learn more about the many auto repair services we offer. Key Transmission & Gears would like to invite drivers looking for a Chevy transmission repair shop to check us out. We handle other repairs and services as well, such as providing axle repair, diagnostics, and front or rear wheel drive service. Let us help you get everything in order with your vehicle by scheduling an appointment with our wonderful team today. We look forward to working with you!